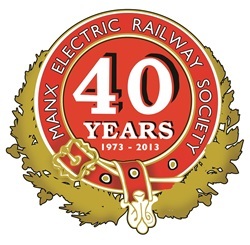 The Manx Electric Railway Society holds monthly social meetings. The meetings usually take the form of either a general discussion/social evening or a slide, film or video presentation. The opportunity is also taken to keep members informed on the latest developments concerning the MER and other Island transport. Local and visiting members of the Society, guests and anyone interested in transport are all welcome. These meetings take place on the second Tuessday of each month at the Columba Club on the corner of Circular Road & Buck's Road, Douglas, Isle of Man, and commence at 8.00pm. All are welcome to attend. 4 (A) From October 15, 2014 a new category of membership shall exist called "E membership" which will be for those who become members of the Manx Electric Railway Society as members through the internet without any arrangements for, or expectation of, (by virtue of their E membership), being sent communications by post including the Manx Transport Review and any notifications pursuant to the constitution from the Society which in the case of E members may be sent electronically. Such persons will be permitted to be members of the Manx Electric Railway Society at a reduced rate in comparison with others. By the very fact of acknowledgement of becoming an E Member any pre-existing rights to postal communication by the Society of data cease, (notwithstanding that contractual arrangements sitting outside the relationship of E Membership will exist independently, for example an arrangement to purchase a publication in printed hard copy for an agreed price). Membership rates may be reviewed annually at the discretion of the Committee which, shall in the exercise of its discretion, have the power to impose different Ordinary and Junior membership rates to reflect the geographical location of postal addresses of members or the fact that they have either joined or elected to change their membership to the aforementioned E Membership. Decisions to decline to renew any kind of membership must be by unanimous vote of the Committee. Decisions to recommend new rates of subscription must be by unanimous vote of the Committee and be approved by a majority vote of the membership at a General Meeting. The provisions in this Constitution with regard to Notice in Writing by members, (E members included) to officers of the Society or the Society in general will continue to require notice by letter delivered by hand or post and will not be fulfilled by any form of electronic communication. All members shall have a right to cast a single vote at any General or Extraordinary General Meeting. No member who has not paid their subscription at the time of voting may vote. E members may only vote in person. All other members may cast their vote by Notice in Writing to the General Secretary delivered 24 hours in advance of any such meeting. The Society will not permit multiple e memberships to be held by a single person and any person holding such multiple E memberships shall be entitled only to a single vote regardless of the number of memberships held. details and venue to be advised in due course. Tuesday, October 14, 2014 - Annual General Meeting (see above). Please note different venue for this meeting. Tuesday, November 11, 2014 - To be advised. Tuesday, December 9, 2014 - To be advised. Please note that shows are presented on a voluntary basis and may be changed should individual circumstances alter.